Move over Boho girls—Here comes the ladies in waiting! One of the hottest movements this Fall in fashion and design is the medieval trend, and I’m LOVING it! Fashion lines are focusing on this haute new look which references the idea of protection by using elements in design anywhere from cloaks to metal studs to high necked garments like the Nobility Dress from Anthropologie. The patterns on this dress can be found in the patterns etched into medieval cathedrals. The Medieval period, also known as the dark ages, was a cold and cruel time in our history and we wouldn’t want to revive that! However during these times alluring and fantastic story dialogues were created and nobles and peasants alike looked to luxurious woven materials, beautiful architectural patterns, fireside warmth and candle lit rooms and other ornate comforts to warm up their cold dark homes and castles. These warm elements are driving this throwback trend and I’m pretty sure that the Game of Thrones has something to do with it too! Corset back dining chairs from Design Master Furniture. Dining room design by Space Case Interior Design, Torrance CA. These corset back dining chairs come in several wood stains and lots of fabric options. 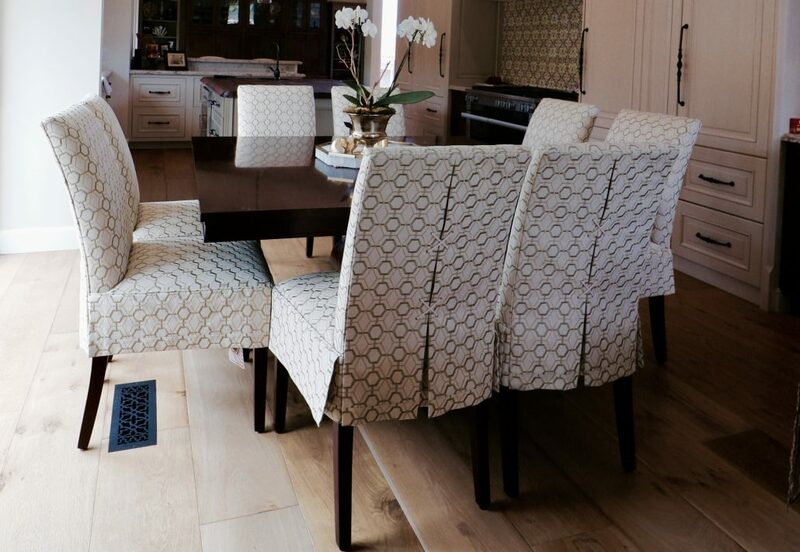 The fabric seen here was custom selected to repeat the patten of the vintage style tiles in this home. In the medieval days corseting and laces were used on everything from shoes and clothing to utilitarian objects such as saddles and knife handles. Old world map focal point and cozy fur throw elements lend themselves to the Medieval trend. Young man’s room by Space Case Design, Torrance CA. 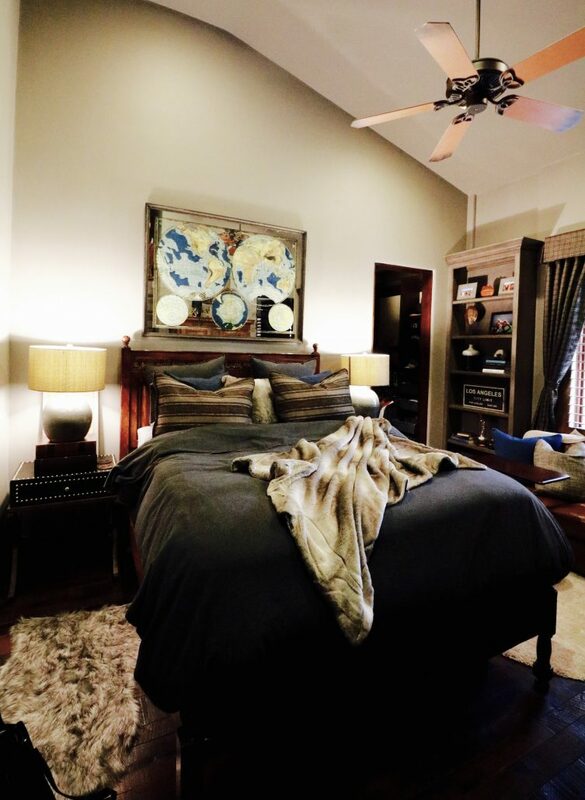 Above a young mans lair is given an update with a vintage mirrored map, plaid and woven shams and window dressings as well as a cozy fur throw. Custom plaid window dressings further drive the medieval trend in this design. 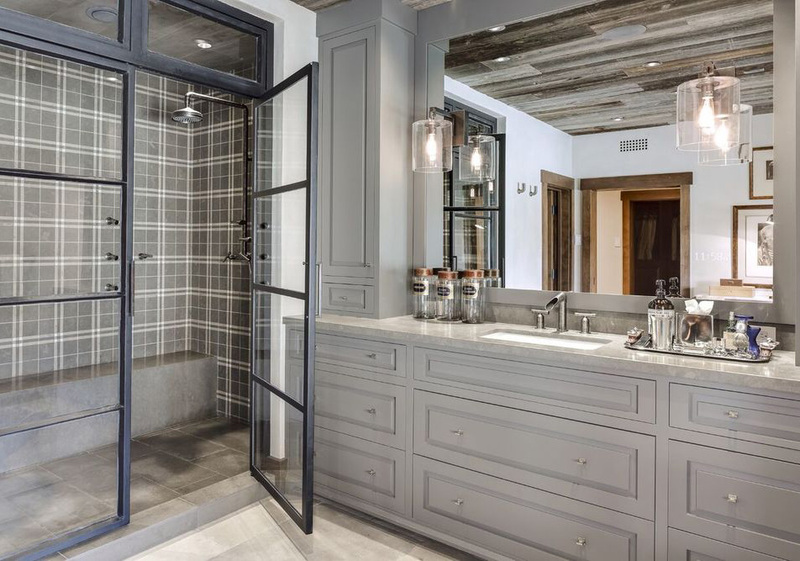 Elegant plaid bathroom tile takes us back to the medieval period of the highlands and their clansman. This bathroom feels timeless. 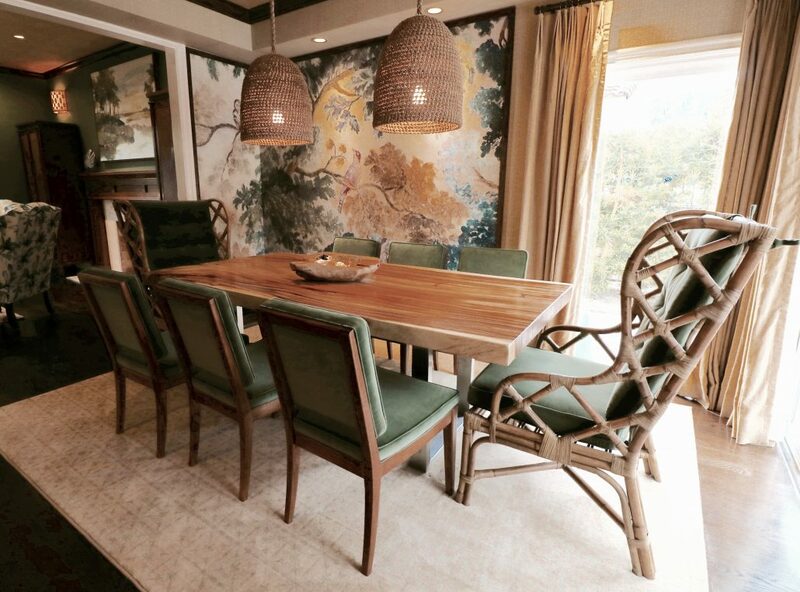 Island Coastal Dining Room Design by Space Case Design shows elements of medieval influence via the use of a large wall tapestry from Anthropologie. Tapestries were often woven by or for the members of a royal court. They not only warmed the walls of their cold castles, but they told a stories that often linked the family name to mystical histories and legends. 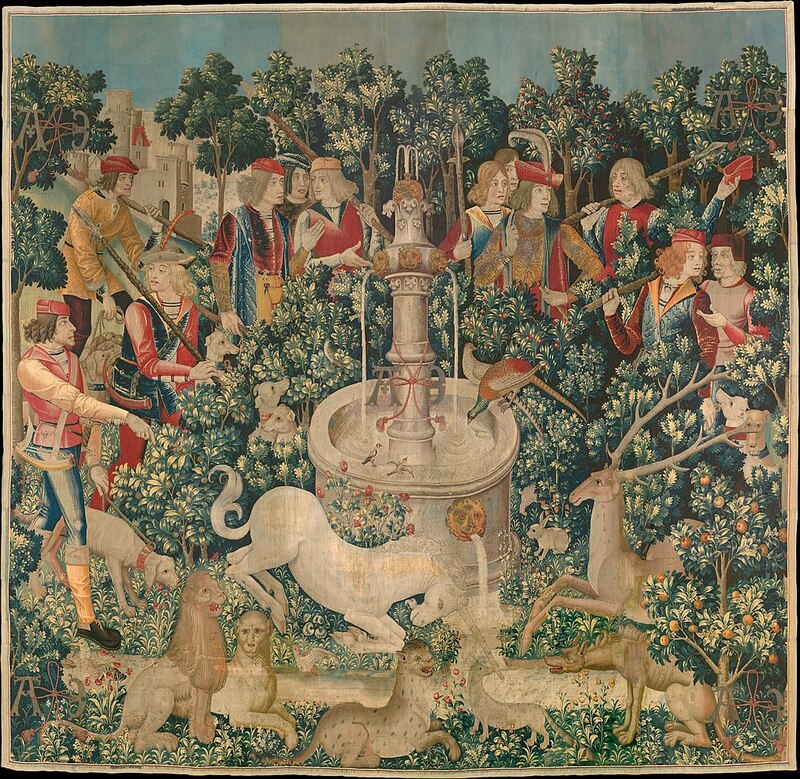 Example of tapestry dating to c1450 – Hunt for the Unicorn Tapestry. Rich velvet blue sofa against a colorful library wall with layered rugs and a thrown chair. Velvets are hot right now. Try recovering an old chair or buy a couple new velvet pillows for your linen sofa. Velvets in medieval history would have been a luxury for even wealthy families. We still consider velvet a luxurious and warm fabric. A table set for the court. 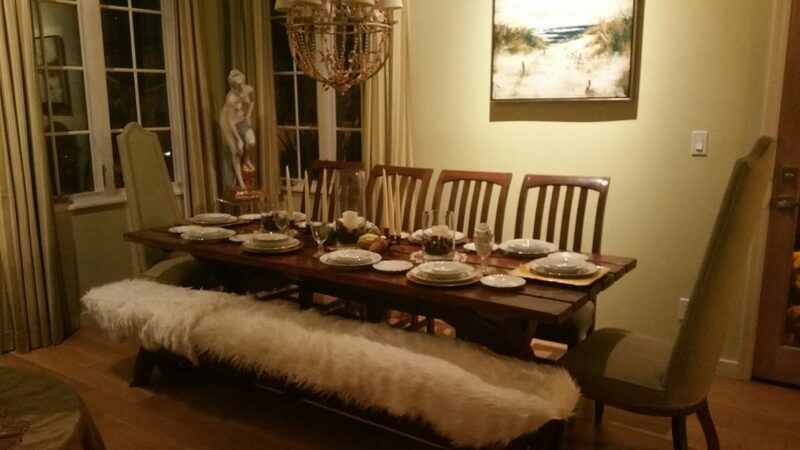 Long rustic plank wood table set for many with draped faux furs recalls the warm dining rooms of tester year. Eclectic dinging room by Space Case Design, Torrance CA. This trestle style bench and plank wood table in a raw waxed wood finishes are a great way to add a little medieval trend in the mix and don’t forget to add lots of candles to your table scape. The more the merrier! The quatrefoil, trefoil, Fleur De Lis, and chevron patterns are just a smattering you can choose from to inspire dark age design — cathedrals and castles often covered their architectural elements in this motifs. 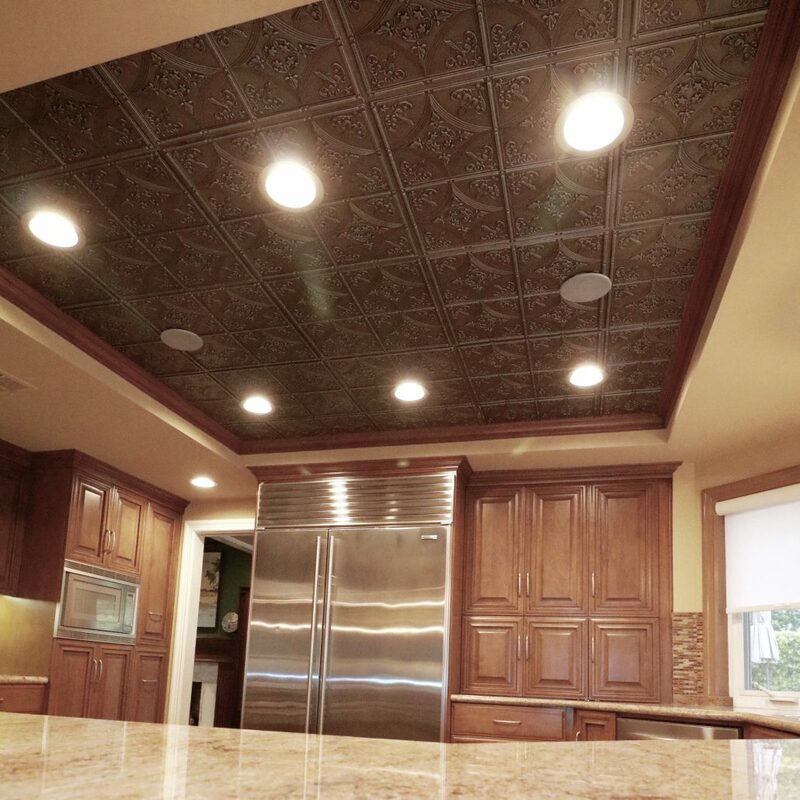 This kitchen’s tin ceiling pattern draws directly from those age old patterns seen on medieval cathedral columns in France and Germany. Classic patterns bring warmth to a space. Kitchen by Space Case Design, Torrance CA. 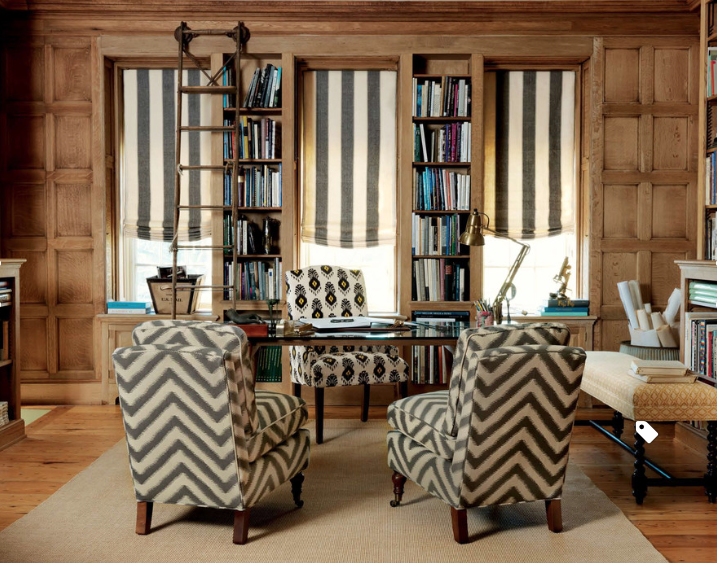 Home office I found on Houzz dining the large chevron motif found on the Durham cathedral in England dating to c1093. 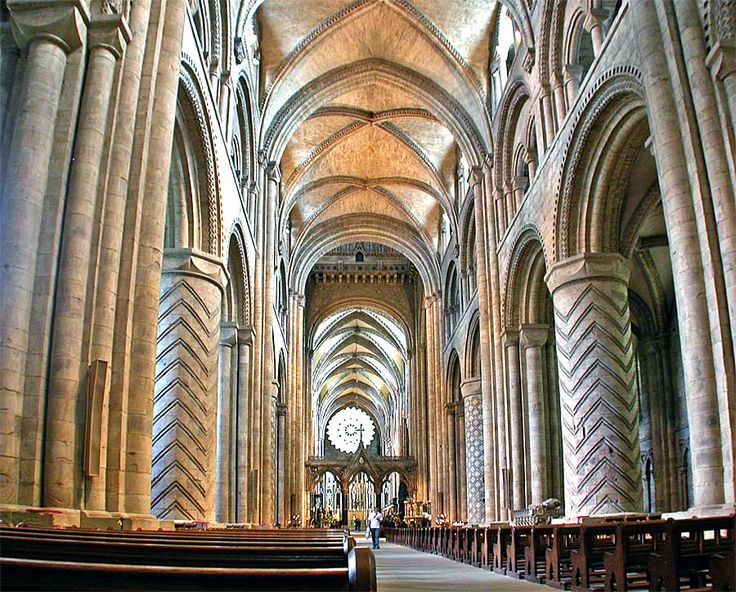 Picture of Durham cathedral from c1093 found on Pinterest. So now go cozy up with a nice jeweled chalice of mulled wine and re-watch Game of Thrones. How better to continue to inspire this new medieval trend.